The Jumbo Racing Days, driven by Max Verstappen is a spectacular event at Circuit Zandvoort that attracts a huge crowd of motorsport fans on the Pentecost weekend. This year the high speed demonstrations of the Formule One cars driven by Verstappen, Daniel Ricciardo and David Coulthard will be supported by no less than five spectacular TCR races. 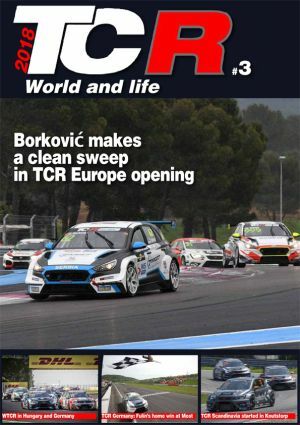 For the first time, in fact, the WTCR - FIA World Touring Car Cup and the TCR Europe Series are joint in the same event, with the addition of the TCR Benelux that will join the TCR Europe grid. The Dutch circuit has already hosted TCR competitions in previous years, as both TCR Benelux and TCR Germany have raced there in 2016 and 2017. Very often, victory went to the local drivers: Loris Hezemans (2016 TCR Benelux), Jaap van Lagen (2017 TCR Benelux) and Niels Langeveld (2017 TCR Germany). Norbert Michelisz is the only WTCR competitor who has recently won a race here, in the 2016 TCR Benelux. His teammate Gabriele Tarquini scored victory in Race the only time the WTCC visited Zandvoort, back in 2007, while Tom Coronel has finished twice second in the 2017 TCR Benelux.